Our first tease of Sekiro: Shadows Die Twice came courtesy of a quick teaser at The Game Awards. That 30-second trailer showed only a mysterious device covered in blood, followed by the tagline “shadows die twice.” It turns out that line would be the game’s subtitle, but that wasn’t always meant to be the case. But Miyazaki says that “for some reason the publisher really liked it, and made it part of the title.” I’d assume that Activision liked it because of all the people typing “shadows die twice” into Google for the past seven months, but who can really say? 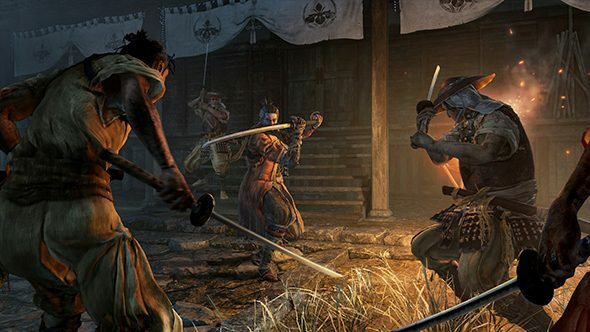 The Sekiro: Shadows Die Twice release date is currently set for early 2019. It does away with the classes and abilities you might expect from Dark Souls, but it does have a pretty similar world design – and based on the emphasis on death, it’s likely to be just as nail biting as the games Miyazaki is best known for.